Philly Freeway and Jake One teamed up in February 2010 to bring you The Stimulus Package, a 15 track collaboration. The money-themed packaging (watch hands-on video) was chosen as one of hip-hop's 50 Greatest album covers by Complex Mag (Brent Rollins of Complex designed the packaging, too!). It received rave reviews and has ended up on many Best of 2010 lists like Complex Mag! To celebrate the release of the album, Free and Jake had a few release parties, check the video from Philly here. Peep the videos for "You Know What I Mean" and "She Makes Me Feel Alright" off the album as well as "Beautiful Music" produced by Jake One, and then grab some cooking tips from Freeway and Jake. Free and Jake played the Paid Dues Festival with fellow Rhymesayer P.O.S. in April 2010, as well as SXSW 2010 in March with Evidence and Grieves & Budo, to name a few. Check out the photos from City Pages here, and shots by Skye Rossi here. 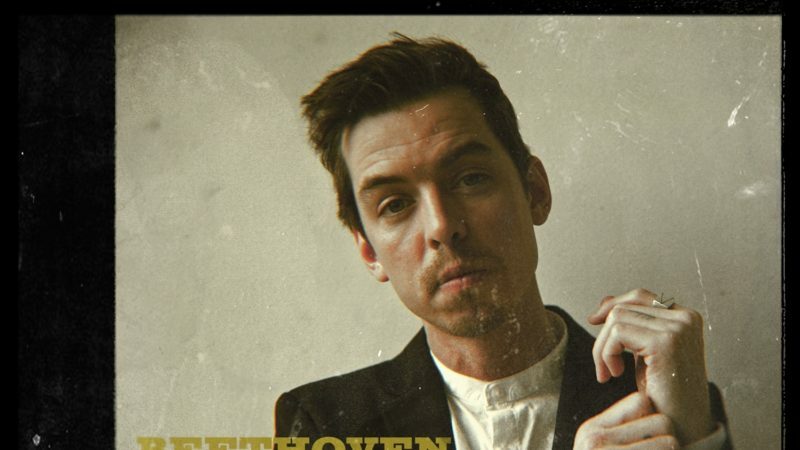 New Rhymesayers signee Grieves along with Budo re-released their most recent album, 88 Keys and Counting in March 2010 on Rhymesayers, as well as a fresh new EP - The Confessions of Mr. Modest. Check out the video for "Cloud Man" below and stay tuned for Together/Apart dropping in 2011! No strangers to touring, Grieves and Budo played SXSW early on in 2010, and sold out their first show on their solo tour after their highly successful tour with Atmosphere and Blueprint. The show was in Minneapolis, MN on October 8, 2010 - check out some interviews and performance footage from Fifth Element here and here. The two also announced a few weeks ago that they will be playing on the 2011 Vans Warped Tour - check out the details. The third's time a charm, apparently. 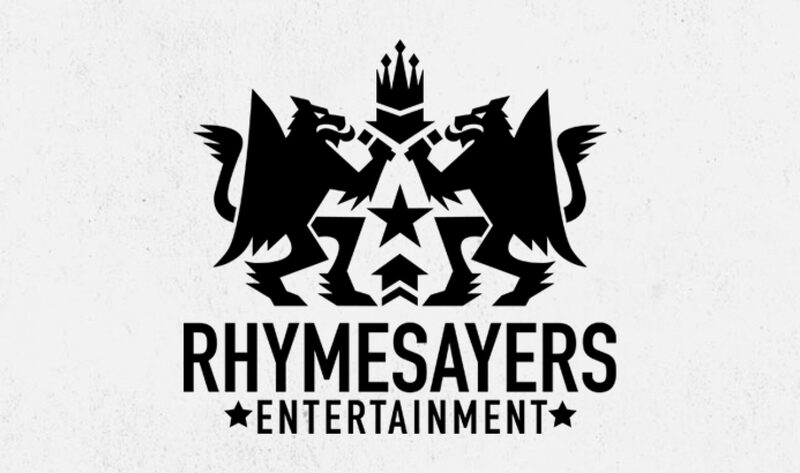 18,000 fans and friends joined Rhymesayers and Rose Presents in May to celebrate independent hip-hop at it's finest. Check out the photos below. Soundset 2011 is on May 29, 2011 - we'll see you there. Stay tuned for more information! 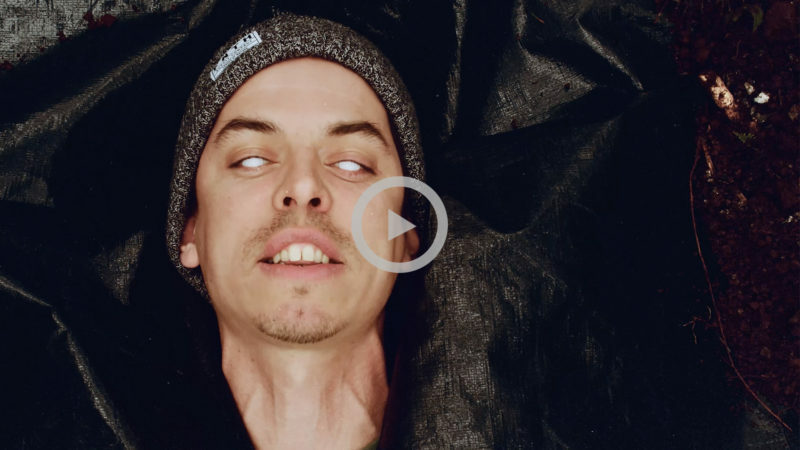 Evidence - "To Be Continued"
Dilated Person Evidence dropped his first Rhymesayers single off of Cats and Dogs in August, along with an incredible video by Jason Goldwatch. Check it out below - and hear the remix here. Ev rocked in Austin, TX at the SXSW Festival with RSE artists Freeway and Jake One, Grieves, and Budo in March and has been touring all around the world playins solo shows with friends like Alchemist and Dilated Peoples. They recently played to a crowd of 3,600 in Chile, the biggest rap show ever in the area! Evidence's Rhymesayers debut Cats and Dogs is coming in 2011, keep your eyes peeled! Toki Wright - "A Different Mirror"
Toki's Rhymesayers debut A Different Mirror dropped in June of 2009, and he released the video for the title track in early November 2010. Peep it below, and check out the video for "More Fiya" that dropped in June 2010. Toki also dropped a remix track; "By The Time I Get To Arizona" (download here) in reaction to Arizona's SB 1070. Read the full post here. Brother Ali - "Breakin' Dawn"
Brother Ali dropped Us in late 2009, and this incredible video for "Breakin' Dawn" came out in October of 2010. Brother Ali spent the year working on a new album and touring. and recently returned from the "How The Grouch Stole Christmas Tour" with The Grouch, Eligh, and Los Rakas - go here to check out some video! 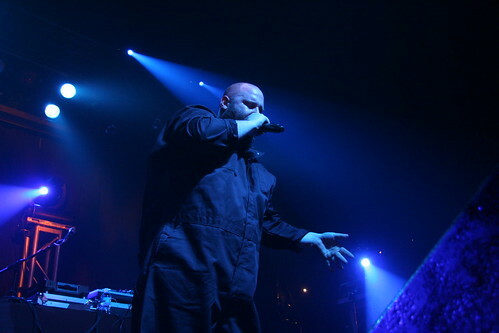 Brother Ali played tons of shows in 2010, and wowed crowds at the Pizza Luce Block Party in Minneapolis, Rock The Bells, Glastonbury in the UK, Rothskilder in Denmark and toured Europe with Grieves and Budo. Ali will welcome in 2011 playing at the Marriott in downtown Minneapolis on New Year's Eve to support his former high school, check out the details below! To hold you over until their next official album Atmosphere just released a double EP full of brand new material titled To All My Friends, Blood Makes The Blade Holy: The Atmosphere EPs. The EPs were selected as Best Album of 2010 in URB's Readers Poll! Peep the video for "The Best Day, which was filmed and created on the "To All My Friends Tour" this year with Blueprint and Grieves. Check out the massive photo slideshow from the sold-out tour on Flickr here. Friend and photographer Dan Monick traveled with Atmosphere and a handful of other Rhymesayers artists on and off for the better part of the last decade. During his travels he documented a wide swath of territory from fans to shows and illuminated behind-the-scenes photos of the artists being themselves. Monick likens the Rhymesayers work ethic to the DIY punk rock approach that he experienced playing in bands. The book will is available in two versions. The standard hardcover, 272 page, glossy book includes a 15 track Rhymesayers compilation CD featuring songs from the seven year period the photos were taken and a limited, numbered deluxe version which includes all of the above with an exclusive 10" vinyl copy of To All My Friends, one half of the new Atmosphere EPs. Check out the photos from the book release at Fifth Element here. Besides the "To All My Friends Tour", Atmosphere played a number of festivals this year: Taste of MN with P.O.S., Mile High in Denver, Smokeout Festival (check out the dangerous stagedive during Atmosphere's set now!) , and Seattle's Capitol Hill Block Party. The year was capped off with two Sold Out homecoming shows on 11/27 and 11/28 at First Avenue along with Blueprint and Grieves and Budo. Check out the photos from 11/27 here and 11/28 here! On Saturday, October 16, 2010, we lost our beloved friend, family member and artist Micheal â? ?eyedeaâ? Larsen at the age of 28. Eyedea, who was most notably known for his music with Eyedea & Abilities, Oliver Hart, Face Candy and Carbon Carousel, was an artist in its truest form. He will be deeply missed, but never forgotten. In the days to come, we feel the focus should be on Michealâ? ?s life, music and legacy. Letâ? ?s celebrate his life, remember his music and never forget what he has given us all. We miss you. We love you. And, you will not be forgotten. Micheal â? ?eyedeaâ? Larsen 11.09.81 â?? 10.16.10 R.I.P. Rhymesayers' leading lady Psalm had an incredible run in Europe late in the year, check out a 3D video from France here! Grab her Woman @ Work Series now! Critically acclaimed mc/producer and Soul Position frontman Blueprint, returns with his highly anticipated sophomore solo release Adventures in Counter-Culture. Experimenting with synths, keyboards, and drum machines, Adventures in Counter-Culture touches on Blueprint's cynicism with the world, his disdain for pop culture, the state of politics and an apathetic, uninspired society. The album encompasses every facet of music Blueprint knows. It blurs genre lines and connects his hip hop pedigree with his early days in the church choir, to the R&B bands he was a part of in high school, to his new found interest in rock and electronic music. After a five year musical journey, Blueprint has emerged with his greatest effort to date. A culmination of self discovery and societal critique, Adventures in Counter-Culture is just that. The adventure begins April 5th, 2011. Print also joined Atmosphere and Grieves & Budo on the "To All My Friends Tour" - check out all the fan and friend photos here.